At the CHOC Children’s Cystic Fibrosis Center, we specialize in providing the very best cystic fibrosis (CF) treatment and care to ensure your child lives a long, healthy life. 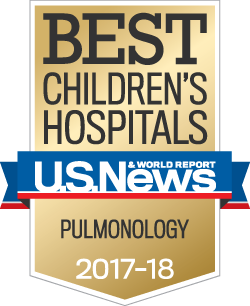 CHOC is the only CF treatment center in Orange County, and we are consistently ranked by U.S. News & World Report as one of the top children’s pulmonology programs in the nation. As one of only a few affiliated care centers of the Cystic Fibrosis Foundation in Southern California, you can rest assured that your child will receive the professional expertise, state-of-the-art diagnostic tools and cutting edge treatments to keep your child healthy. Learn more about cystic fibrosis. Our CF Center is one of only a few affiliated pediatric care centers of the Cystic Fibrosis Foundation in Southern California, and the only CF treatment center in Orange County. We offer a comprehensive team approach to treating cystic fibrosis. Your child will have access to full multidisciplinary team of board-certified doctors and specialists from our more than 30 specialties. Our CF medical team is on call 24/7 should you need them. A home IV clinic provides weekly assessment to our patients that are on a home IV program. CHOC holds an annual CF Family Education Day that offers the latest CF treatment and research from CF experts. CHOC has a CF family advisory council open to all families that is designed to improve family-centered care and treatment to our CF patients. CHOC uses highest standard of infection control by following the Cystic Fibrosis Foundation infection control recommended guidelines. We offer CF Rise – a personalized education plan to ensure your child achieves health goals. In addition to your child’s primary treatment, we offer our patients expert rehabilitation services, psychosocial support, the very latest integrative health services, and access to our High-Risk Infant Follow-Up Clinic. CHOC provides patient- and family-centered care to our patients and families to meet the needs of your child in the best way possible. 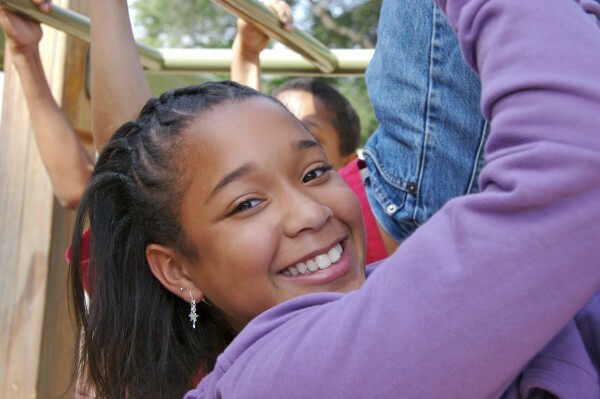 We have the most comprehensive child life program in the region. CHOC is among only 7% hospitals awarded Magnet designation, the highest honor for nursing excellence. CHOC Children’s is recognized by Press Ganey for excellence in physician engagement with our families. We are recognized with the Gold Level CAPE (California Awards for Performance Excellence) Award from the California Council for Excellence (CCE). CHOC is the only children’s hospital in California to ever earn this distinction. CHOC is the first children’s hospital in the U.S. to earn the Beacon Award for Critical Care Excellence. Our CHOC pediatric pulmonologists are board certified in both pediatrics and pediatric pulmonology with additional training in treating cystic fibrosis. Our CF team also works with a full range of CHOC specialists for nearly any pediatric problem related to CF. We are here to coordinate care with you and your child through every stage of treatment, from diagnosing CF to finding the right medication and treatments, and providing personalized education plans. Our CF medical team is on call 24/7 should you need them. We know that for your child to successfully reach his or her health goals, it’s important to completely understand CF, as well as all prescribed treatment plans and therapies. The CHOC CF Rise program is designed to determine any knowledge gaps that you and your child have and give you a specially prepared, personalized education plan. Every child with CF has a different treatment plan that is unique to his or her specific health needs, age, lifestyle, goals and medical test results. At CHOC, we offer a full range of diagnostic services for our CF patients. Sweat is collected and analyzed in an accredited sweat testing laboratory. For more than 25 years, the CHOC Children’s Pulmonary Function Lab has been working with physicians to provide the high-quality pulmonary function test results and educate patients and families on the vital tests they provide. The lab is one of very few pediatric labs to have achieved American Thoracic Society Accreditation. The Pulmonary Function Lab employs registered respiratory therapists (RRT) that also hold the credentials as certified and registered pulmonary function technologists (CPFT and RPFT). Our therapists also have their asthma educator certification (AE-C). Most importantly, our therapists specialize in working with children in order to get the very best test results possible. We offer separate monthly appointments for patients referred to CHOC from the California newborn screening program. A genetic counselor joins the CF program each month to meet with our families and discuss the genetic findings. We have a dedicated sputum induction room in our clinic to help collect mucus from children who do not routinely produce sputum. Sputum can then be analyzed for infection. Throat cultures are done to check for infection. Blood tests are done to test for infection and CF disease-causing gene mutations. Blood or cheek brushings can be collected and tested for CF disease-causing gene mutations. At CHOC Children’s, we pride ourselves on processing blood, urine and stool tests as quickly and efficiently as possible using the very latest equipment and expert staff. Physicians connected to our computer network are often able to get routine results within 60 minutes. In addition, we can work with physicians and their staff to provide advanced DNA and microbiology testing. Fiberoptic bronchoscopy is used to directly visualize the airways and collect mucus secretions from the lower airways for culture. Cardiopulmonary exercise testing is performed to test lung function. Lung imaging, including chest X-Rays (chest radiograph) and high-resolution CT scan (computer tomography) is done to check the lungs for disease. At CHOC, we understand that treating CF is a multifaceted approach of inpatient, outpatient and home care, as well as easily accessible health care providers, leading-edge research and community involvement. We also provide you and your family the following services to ensure your child receives the best treatment possible. Our team of experienced physicians is available to you and your child 24/7 for both inpatient and outpatient care. We offer both day and evening outpatient services to accommodate your schedule. And, we always have an on-call physician outside of business hours. For our hospitalized patients, the CHOC CF team is available for daily rounds, including weekends and holidays. Our weekly home IV program (since 1995) provides weekly clinical assessment, pulmonary function, nutrition, intravenous access care, and monitoring of drug levels and renal function to our patients that are on a home IV program. Our innovative home IV program has been widely studied and copied by other CF centers around the nation. For more than 20 years, CHOC has held its annual CF family education day to offer our families and caregivers the latest findings in cystic fibrosis research and treatments from national and local CF experts. This is also an opportunity for our community to network with providers and other CF families. The CHOC Children’s Family Advisory Council provides a family point of view and bridges the communication gap between patients, families, administration and medical staff at CHOC Children’s. Through the work of the Family Advisory Council, we can better understand what providing patient- and family-centered care really is all about and create the best possible programs that can help our patients and families. For more information on the CHOC Cystic Fibrosis Family Advisory council, please email jshea@choc.org. CHOC has an active CF research program established in 1991, and is committed to learning about the latest CF findings and protocols to help our patients stay healthy. We have a separate program offered monthly for patients referred to CHOC from the California newborn screening program. A genetic counselor joins the clinic each month to meet with the families and discuss the genetic findings. At the CHOC Children’s Cystic Fibrosis Center, we are here to coordinate care with you and your child through every stage of treatment, from diagnosing CF to finding the right medication and treatments. Our cystic fibrosis medical team is on call 24/7 should you need them. To make an appointment at the CHOC Cystic Fibrosis Center, please call 888-770-2462. For additional help making an appointment at the CHOC Cystic Fibrosis Center, or for more information on how we can help meet your child’s unique needs, please call the CHOC Cystic Fibrosis care coordinator, Maivy Nguyen, MSN, CPNP, at 714-509-3338. As a part of our mission, CHOC is dedicated to providing our cystic fibrosis patients the very latest breakthrough treatments by participating in research and clinical trials. Our CF research program was established in 1991 and uses the highest industry and academic sponsored protocols. 2016 –Implementation of the Depression and Anxiety Guidelines: Award for a Mental Health Coordinator by the Cystic Fibrosis Foundation. CHOC was awarded this competitive grant to provide a licensed mental health professional in our CF Center to provide screening, follow-up and evidence-based interventions to treat depression and anxiety in CF patients. 2015 –CF Fundamentals Learning and Leadership Collaborative grant by the Cystic Fibrosis Foundation. CHOC was one of 15 centers selected to participate in this project designed to help CF centers improve medical care and outcomes for CF patients.